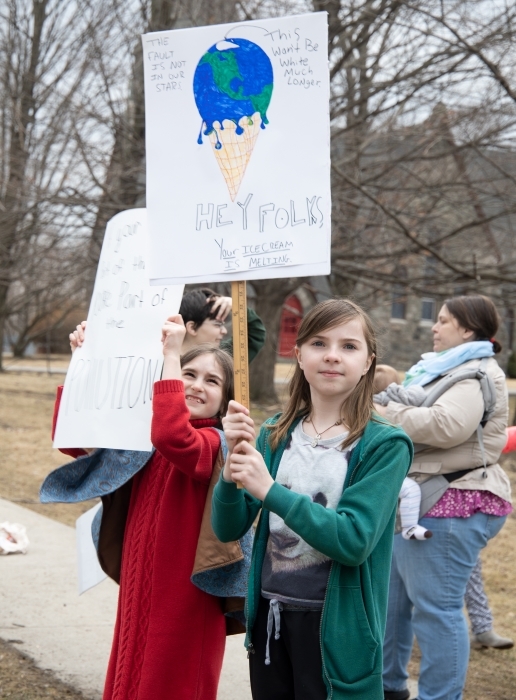 In Cold Spring, about 20 Haldane students left class on March 15 to call for more be done to slow climate change. 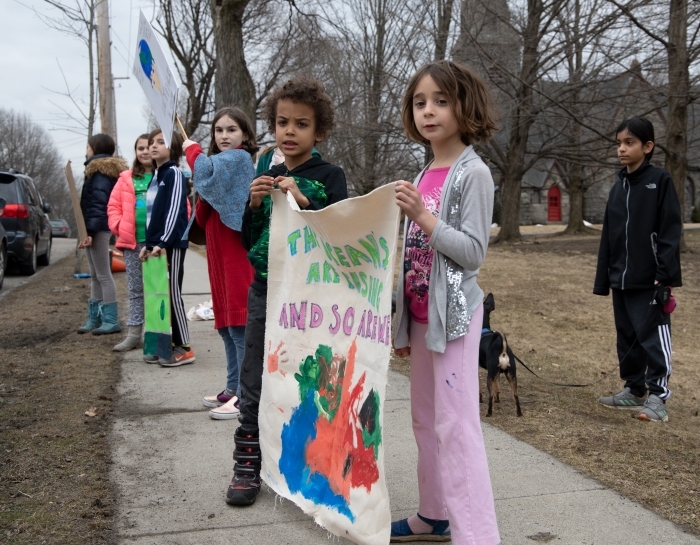 They joined thousands of students who walked out of school in a global strike inspired by a 16-year-old Swedish activist, Greta Thunberg. 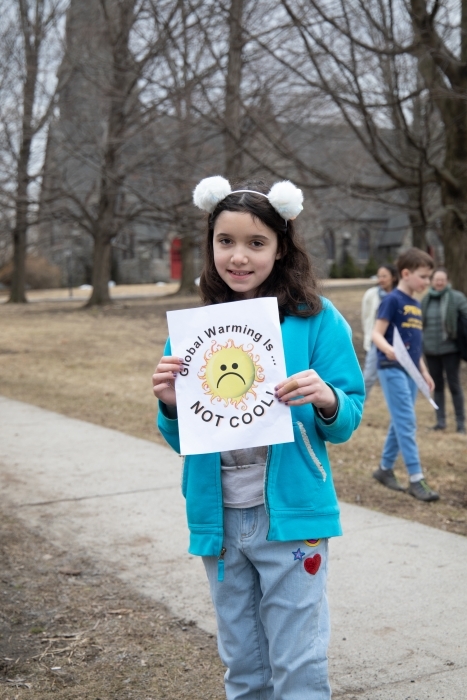 “It is very important that we join the protest against global warming because the adults may think it’s not much of a problem, but we need to convince them that it’s actually happening. As a kid we will have to live with the serious future global warming will bring. Hurricanes, more floods, forest fires, etc. 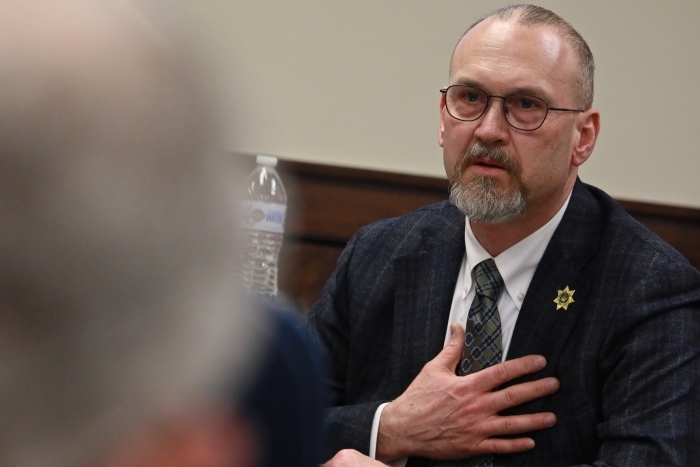 could happen more often in our future. 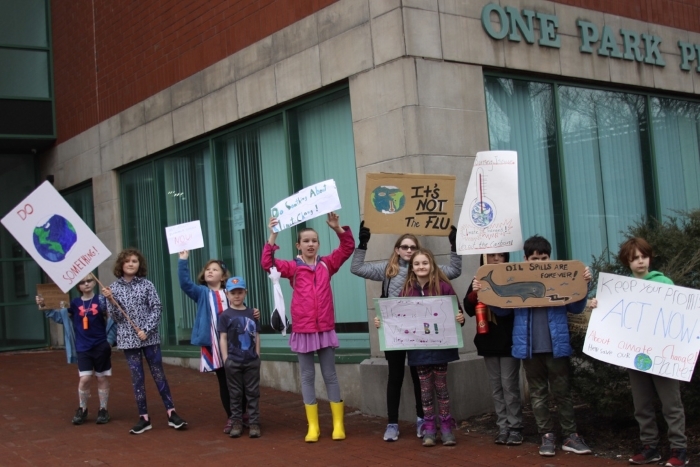 In Peekskill, eight students from the Manitou School in Cold Spring protested outside the Peekskill office of U.S. Sen. Chuck Schumer and shared their report with The Current (below). 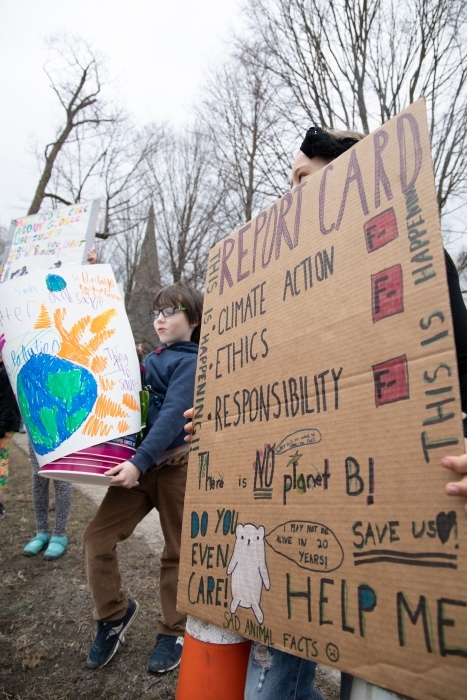 Another 15 students from Haldane and Manitou traveled to Columbus Circle in New York City to join a protest there. 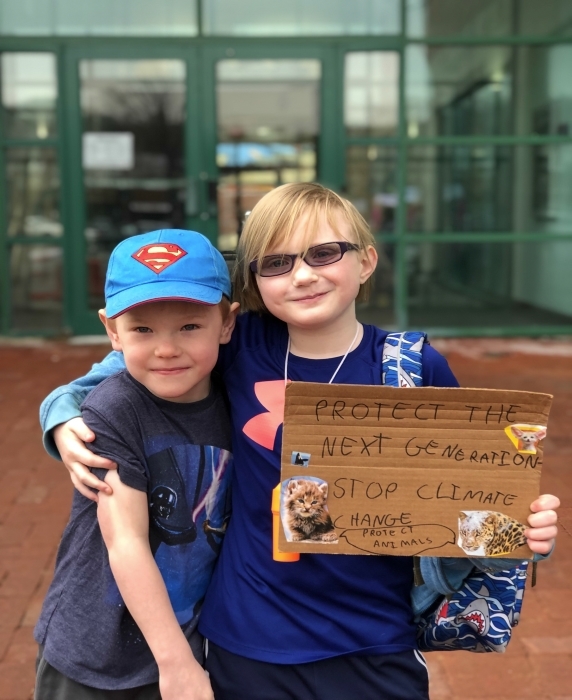 “I’m here to capture the attention of adults in power to stop burning coal and other things that make greenhouse gasses. Animals’ and people’s homes are getting destroyed every day because of climate change. 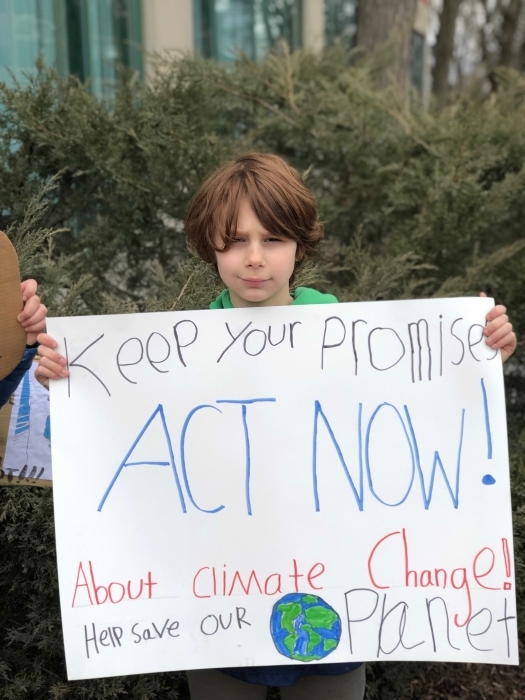 We’re here to help continue what Greta Thunberg started in Sweden and to protect people and animals all over the world,” says 9-year-old protester Ross Campbell. 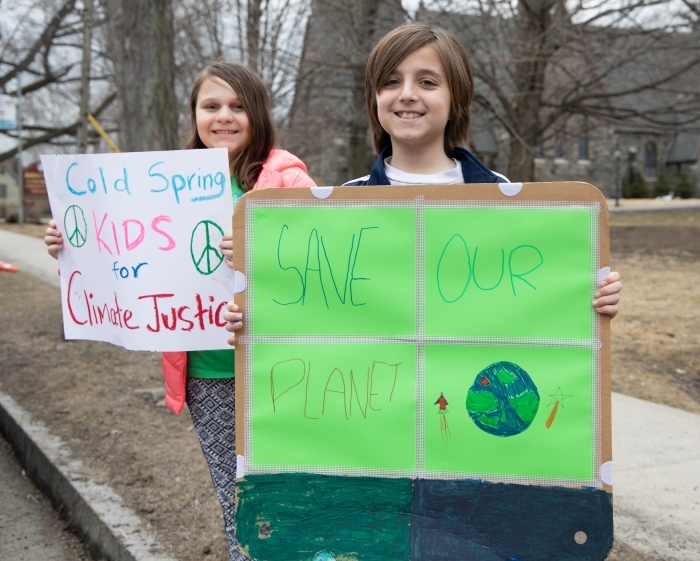 Fridays for Future (FFF) is a global kids’ strike inspired by 16-year-old Greta Thunberg, a Swedish high schooler who was striking from school to protest against climate change in 2018. She sat on the steps of the Swedish Parliament every day. She began by herself, but eventually thousands of kids joined in and she changed it to just Fridays. 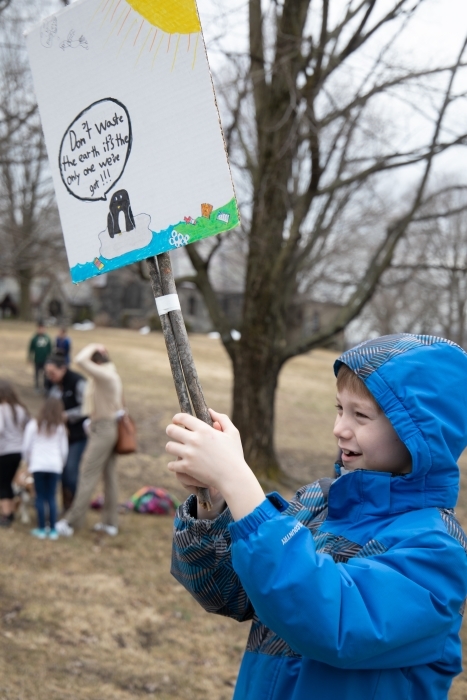 Last Friday was the day when millions of kids across the world were striking from school to protest against climate change. More than 100 countries and 2,000 cities participated. 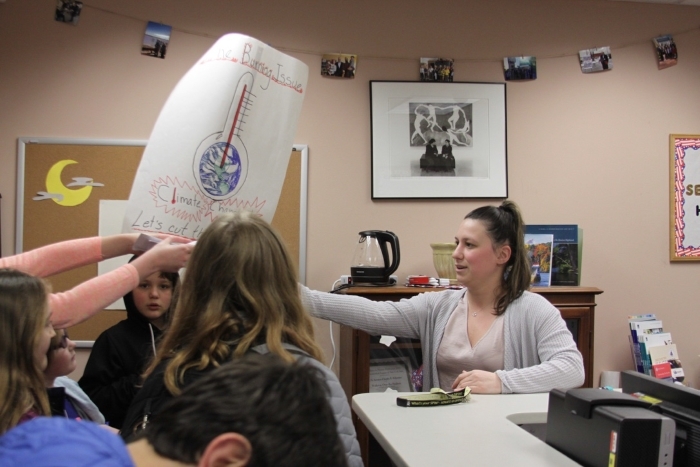 The Manitou School 4th and 5th grade classroom heard about this climate strike and some students decided they wanted to take action. 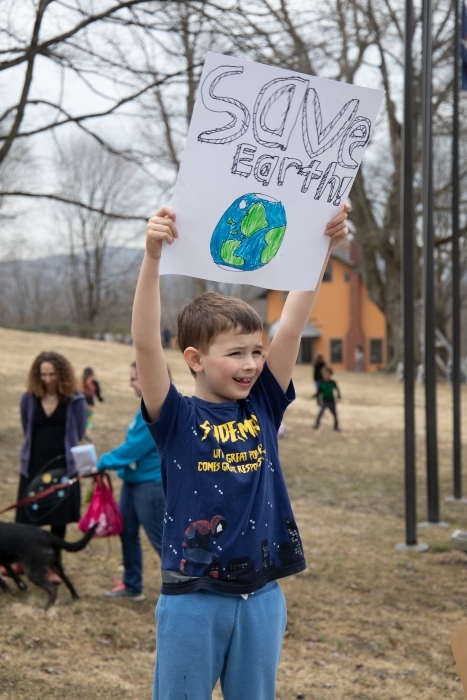 They thought this was a serious cause and that they needed to contribute to save future generations, so we organized our own event in Peekskill, near the office of U.S. Sen. Chuck Schumer. 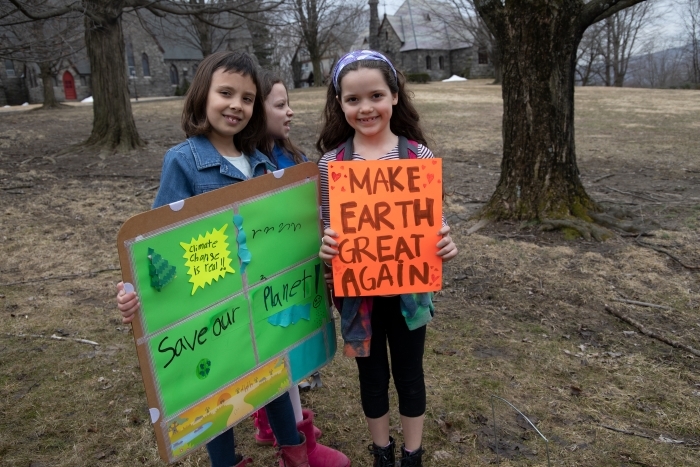 Eight students from the Manitou School came to the strike, joined by two students from another school in Peekskill. 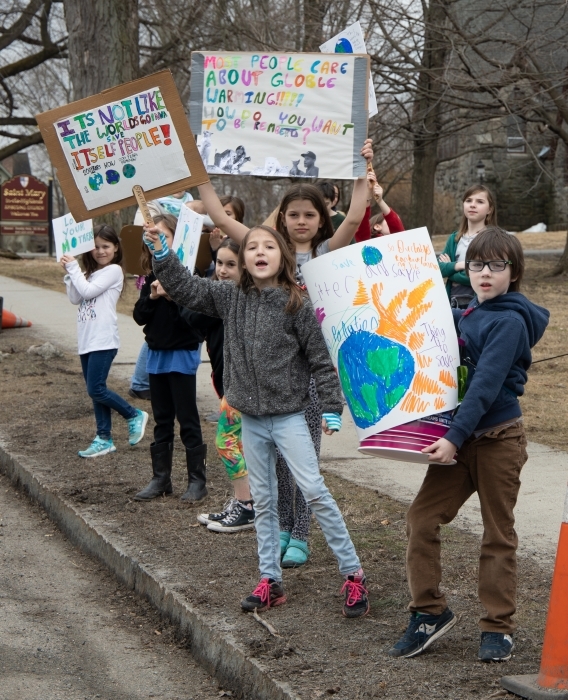 The protest started at 9 a.m. Friday morning and ended at 11:30 a.m. We protested at the gazebo in Peekskill for two hours. 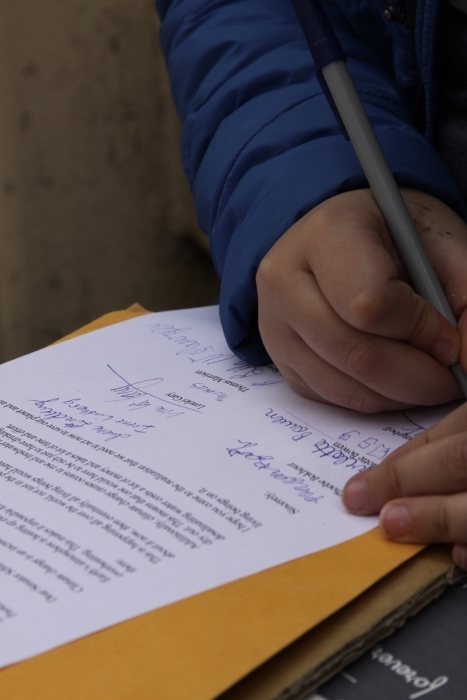 We then delivered a letter to Sen. Schumer’s office, explaining to him that climate change is a serious issue and that he should address it soon in order to save future generations. 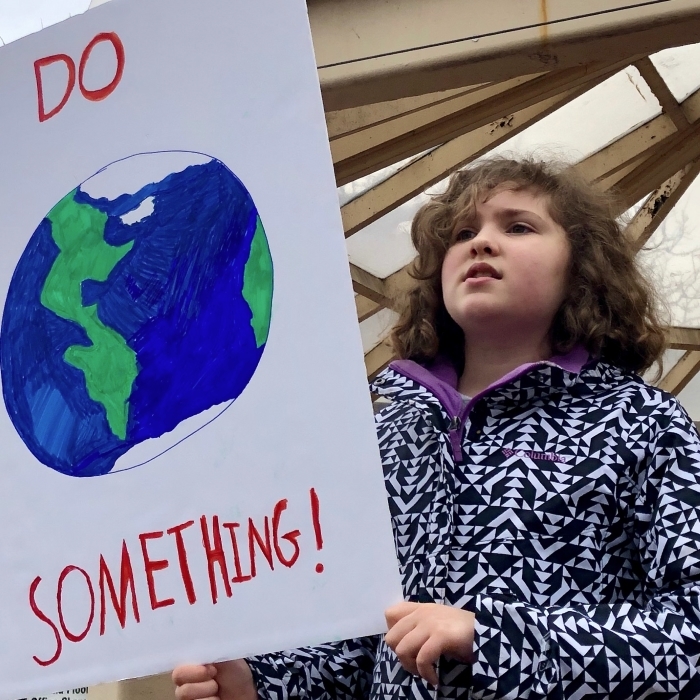 Here are some things you can do to help: Reduce the amount of plastic you use and throw away, use environmentally safe power instead of fossil fuels (install solar panels, get an electric car, etc.). 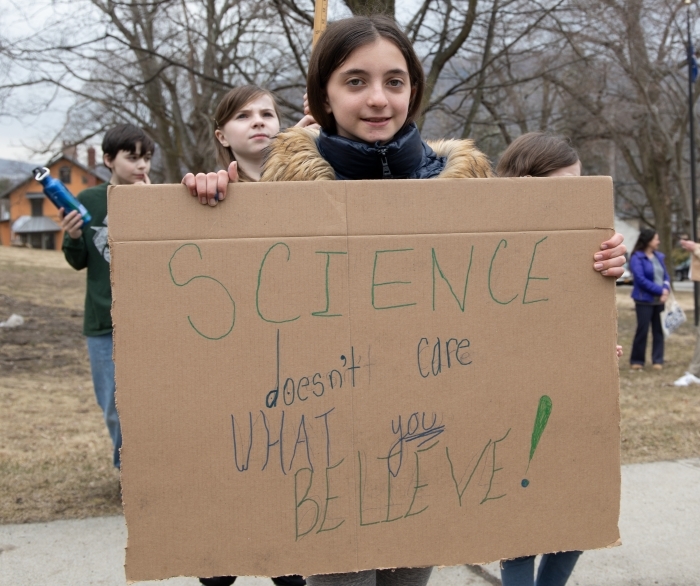 We hope you are all aware of the causes of climate change and can find your own way to prevent it.